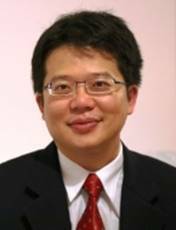 Congratulations to Shao-Yuan (Ben) Leu (PhD ’09) on his promotion to Associate Professor of Civil and Environmental Engineering at Hong Kong Polytechnic University. Leu obtained his doctorate in wastewater engineering at UCLA Samueli, where he focused on gas-transfer associated with kinetic modeling of biological systems. Prior to his appointment, Leu was a lecturer at UC Riverside and worked as a postdoctoral fellow with the USDA Forest Products Laboratory in Madison, WI. Leu’s research focuses on urban bio-refinery techniques to convert waste derived lignocellulose biomass into biofuels and bioproducts, such as bioethanol, butanol, and lignin monomers. He received his bachelor’s and master’s degrees from the Forestry Department of National Taiwan University, and is a licensed professional engineer in California.